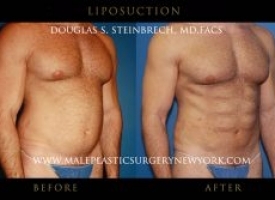 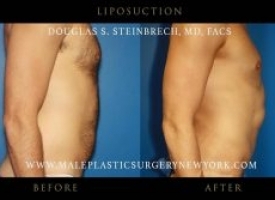 Liposuction is a technique to help men shape and contour the body to give a more athletic, lean, and attractive physique. 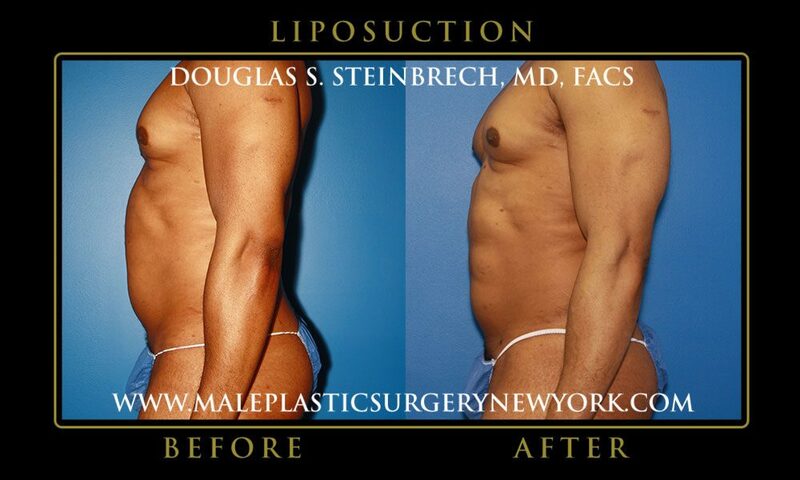 Dr. Steinbrech specializes in male liposuction in NYC and is proud to offer his patients his extensive experience and expertise. 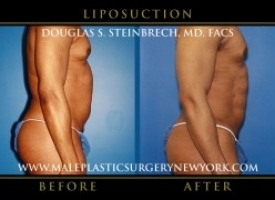 Liposuction is the single most popular cosmetic surgery procedure in the U.S. today. 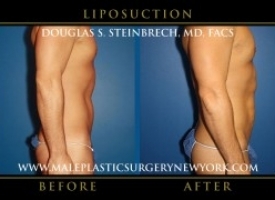 Liposuction sculpts the body by removing unwanted fat from male patients that have not responded to diet and exercise programs. 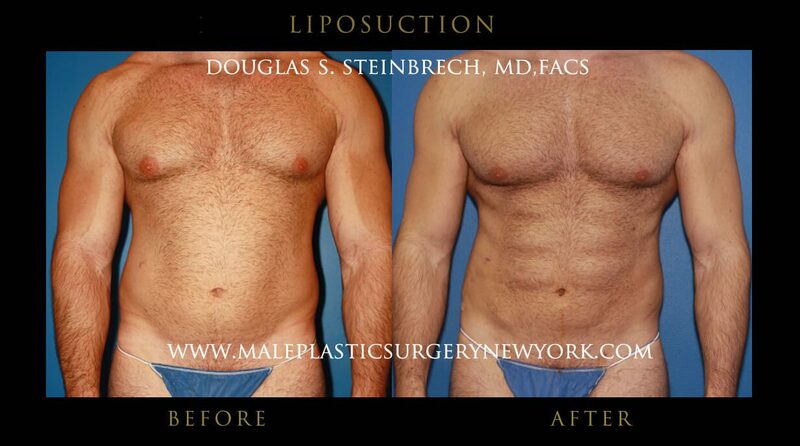 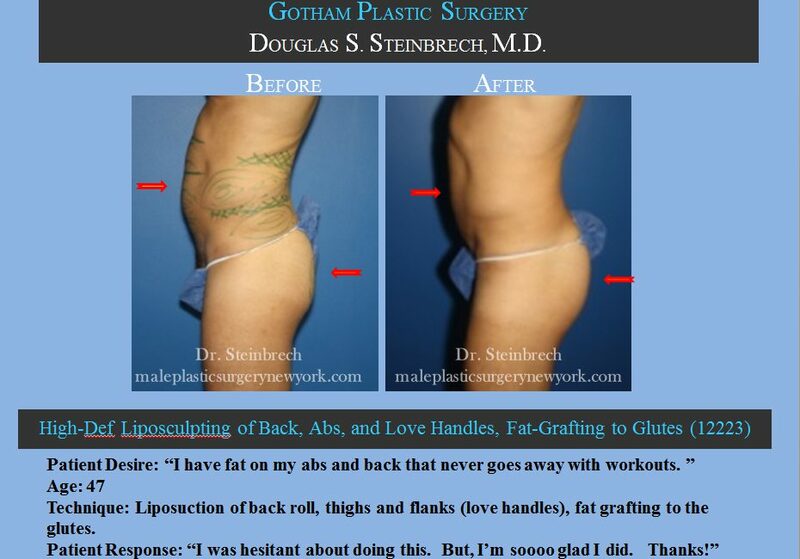 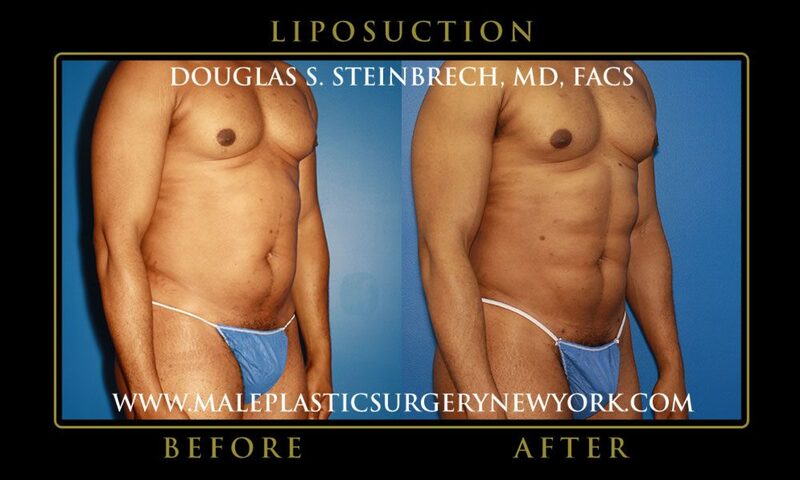 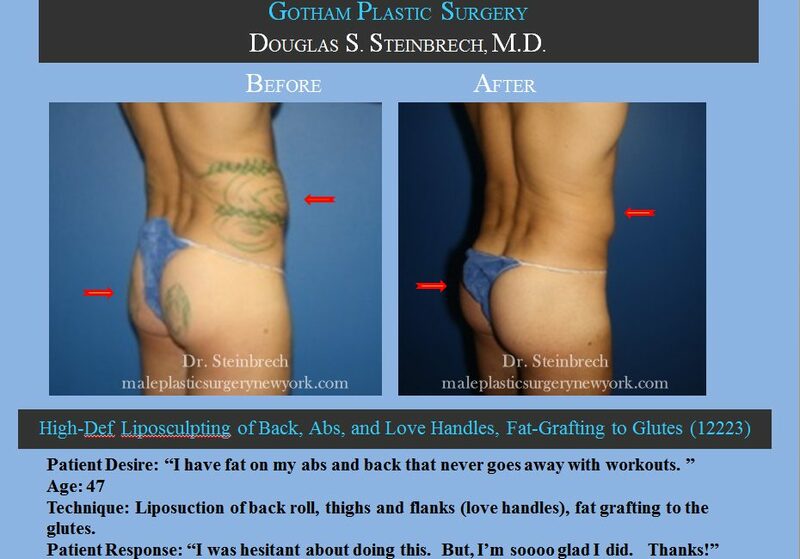 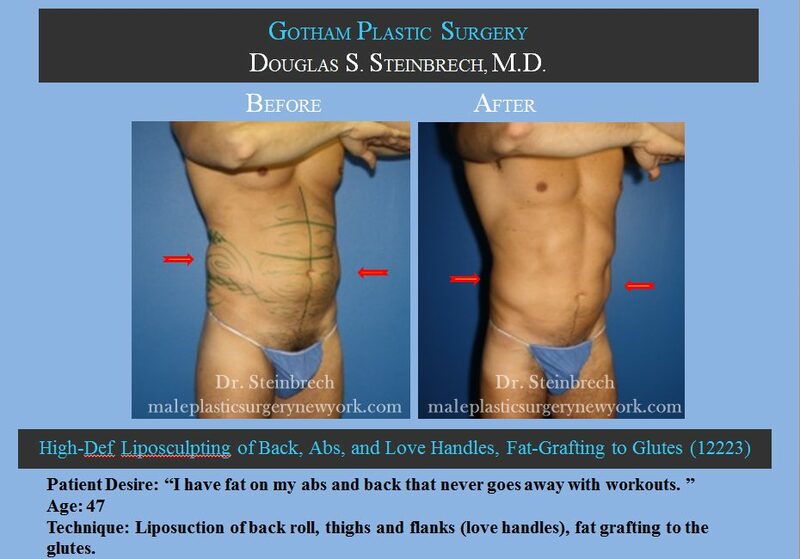 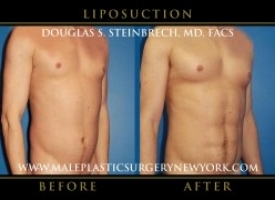 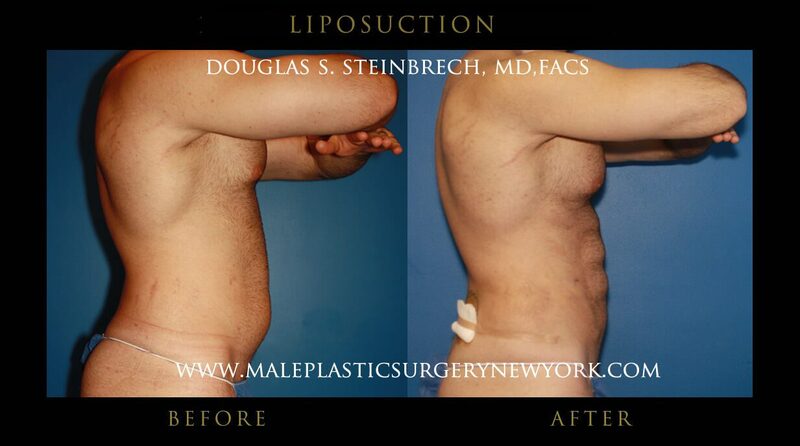 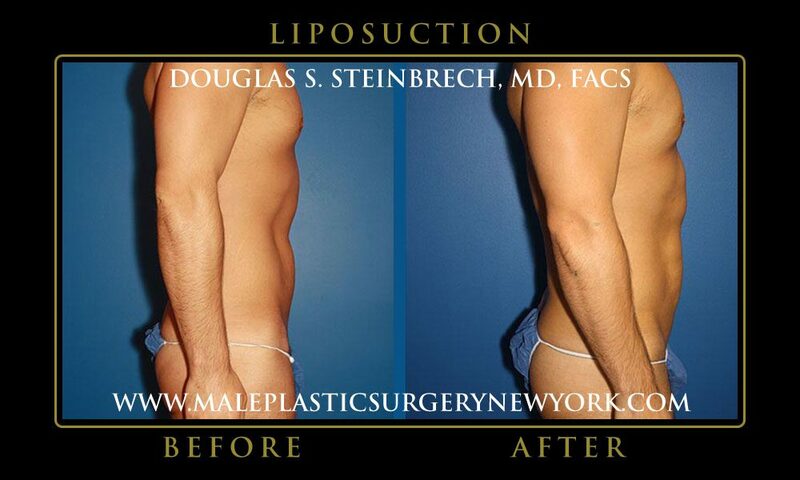 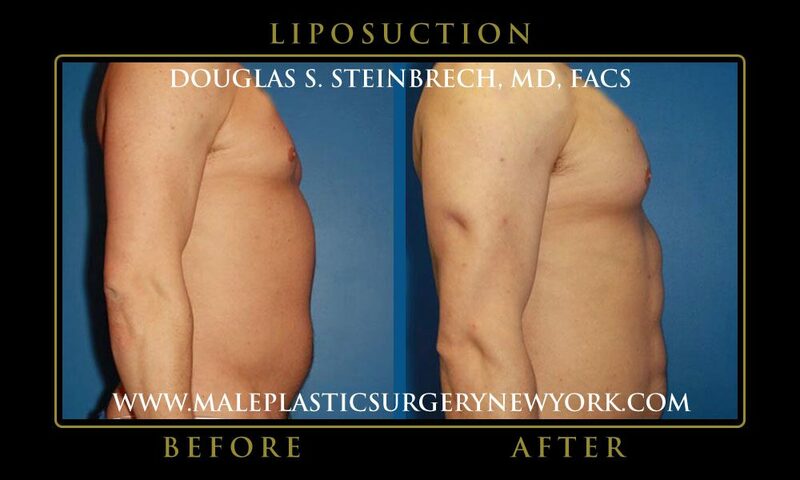 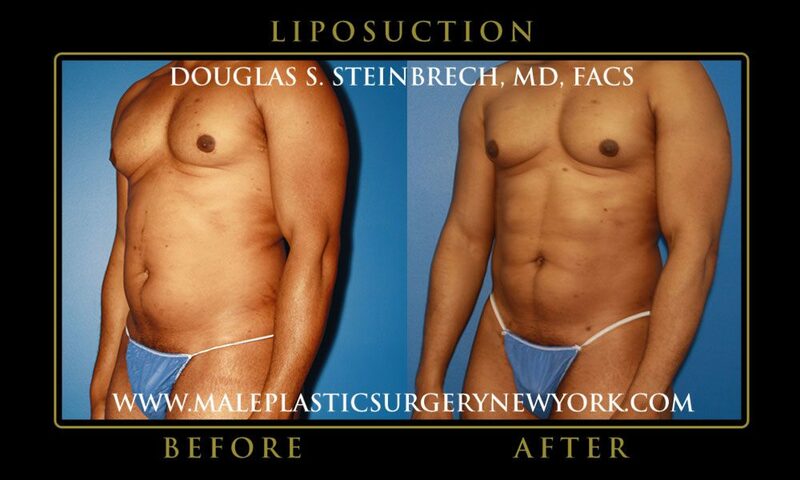 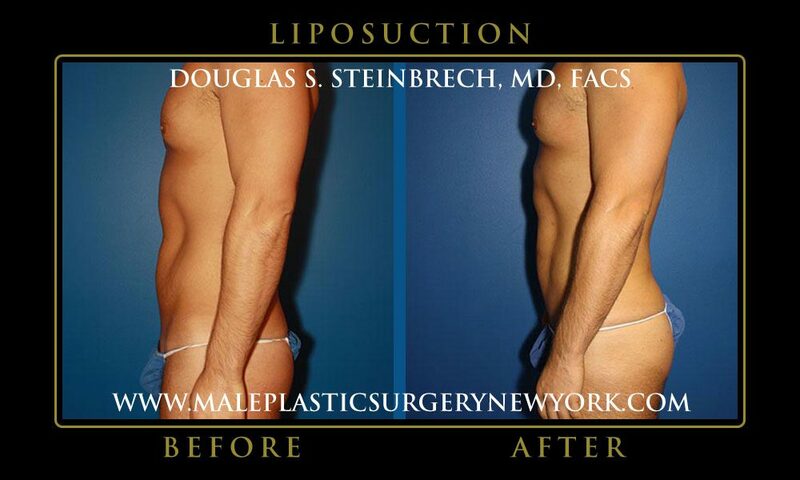 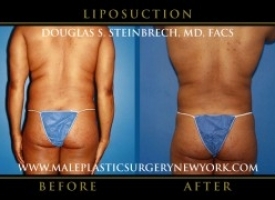 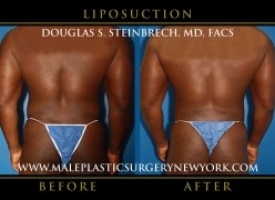 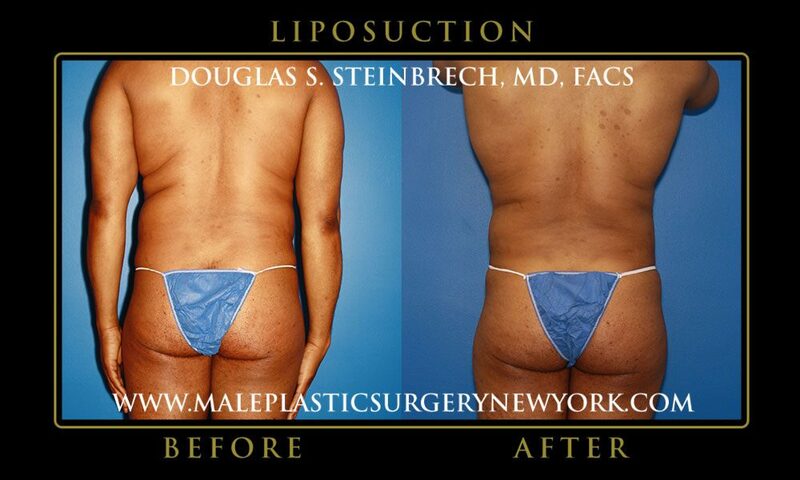 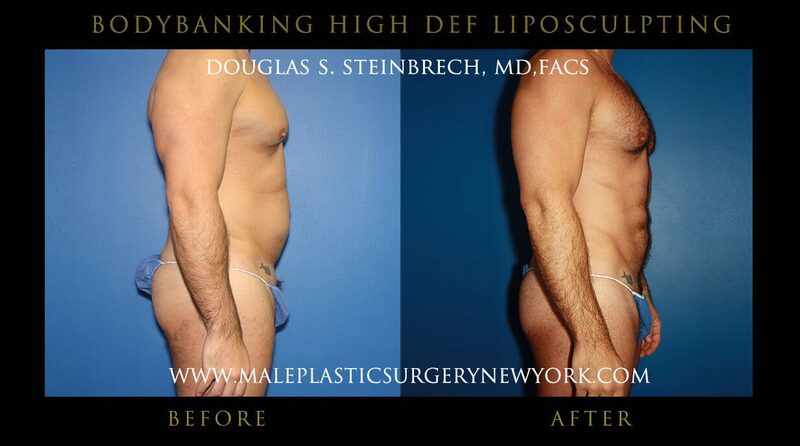 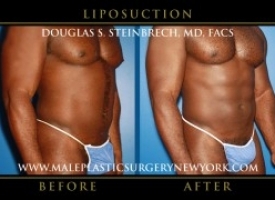 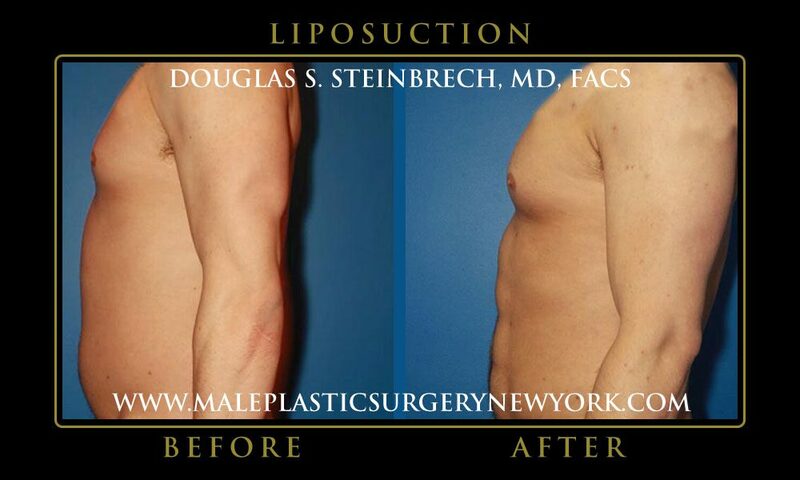 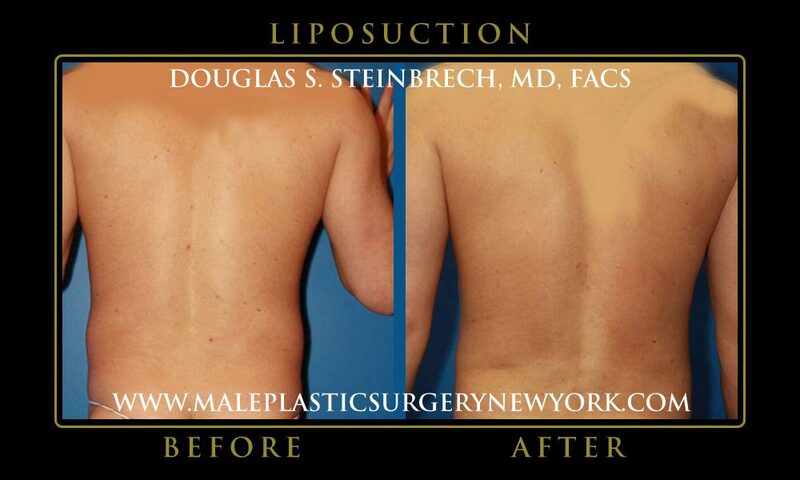 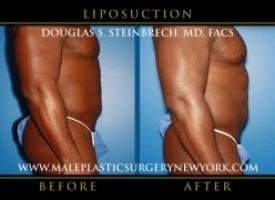 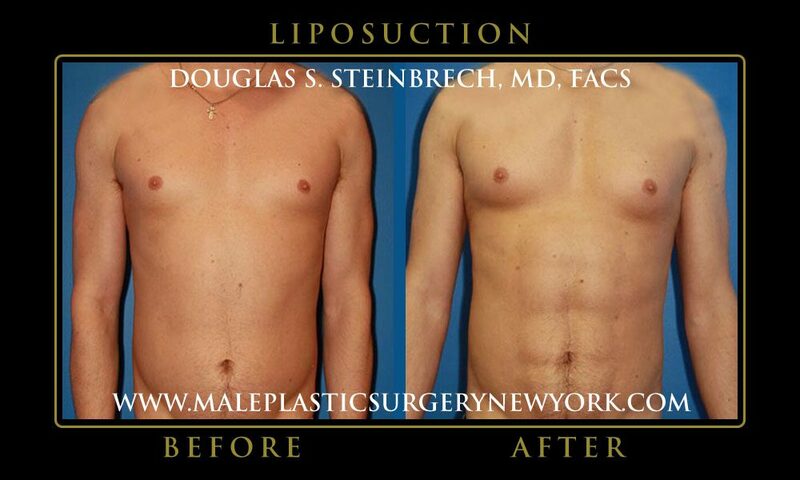 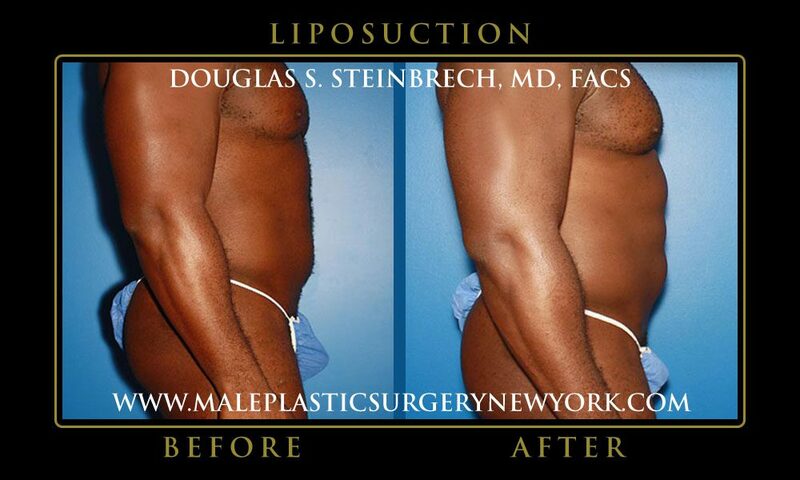 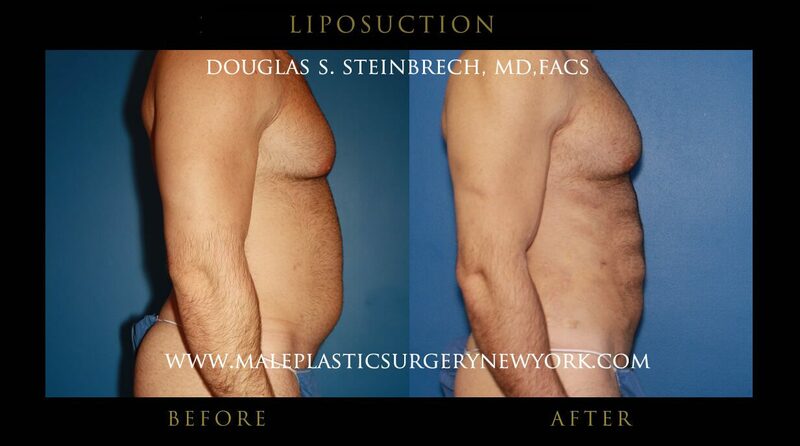 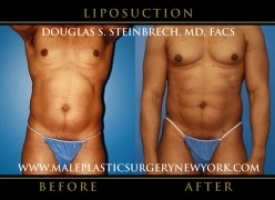 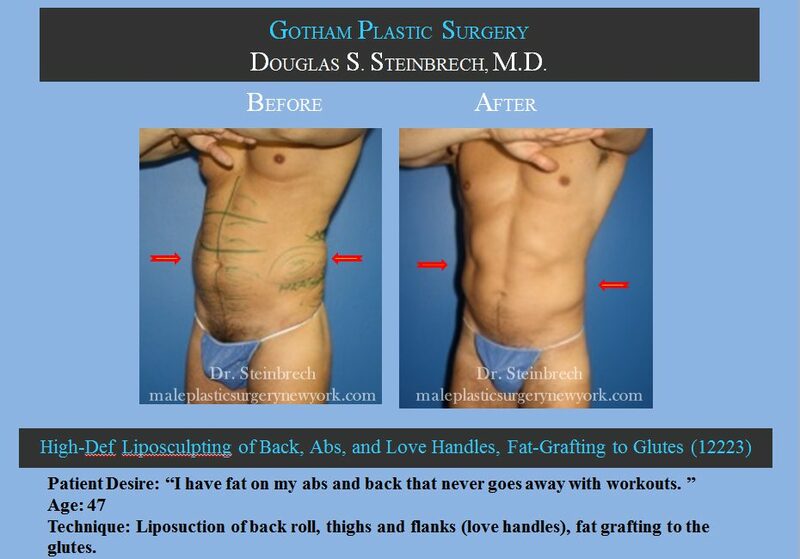 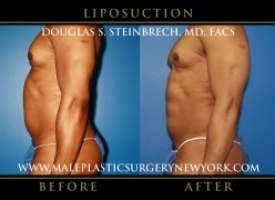 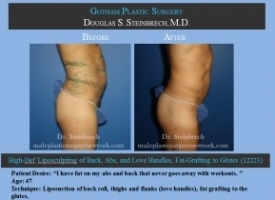 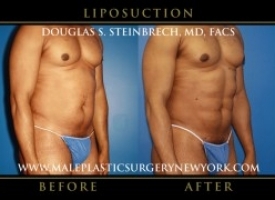 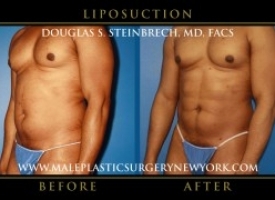 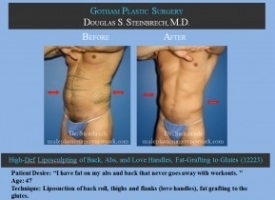 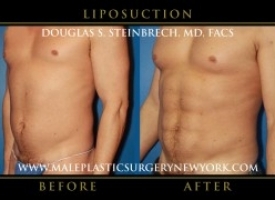 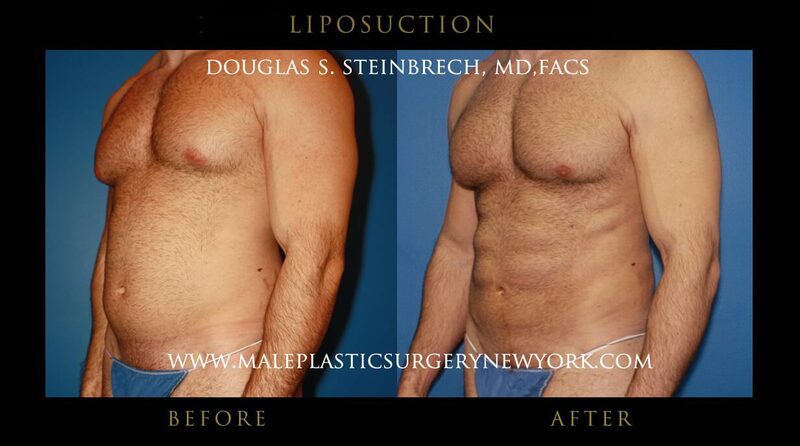 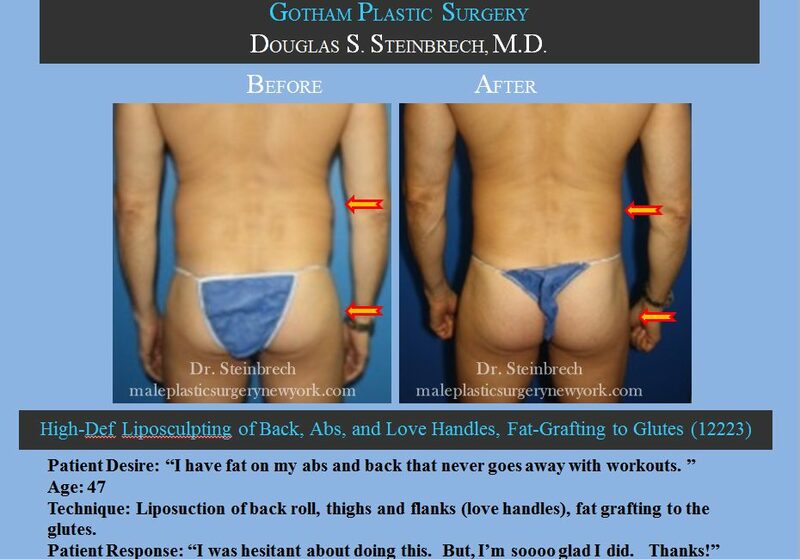 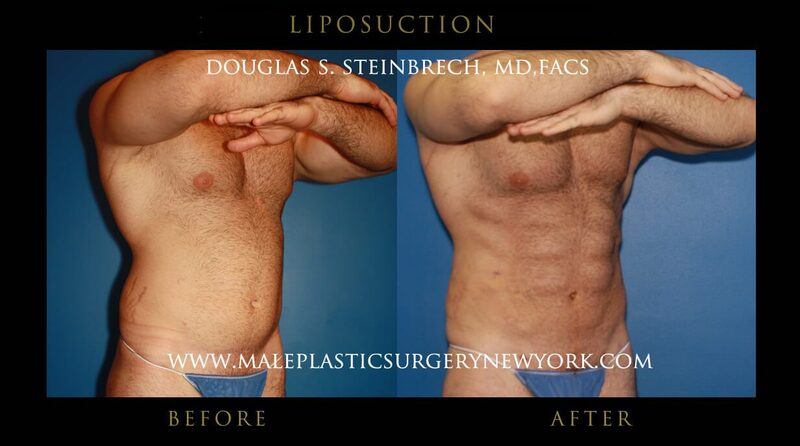 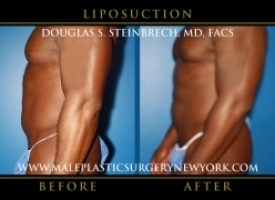 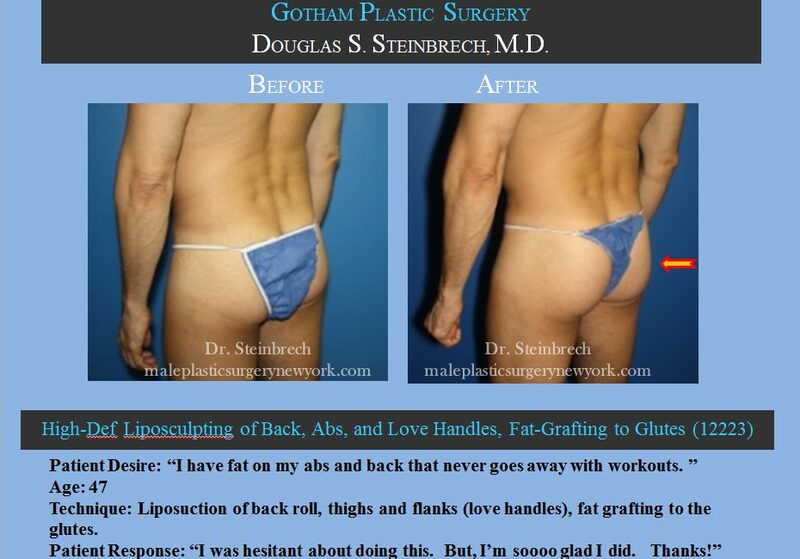 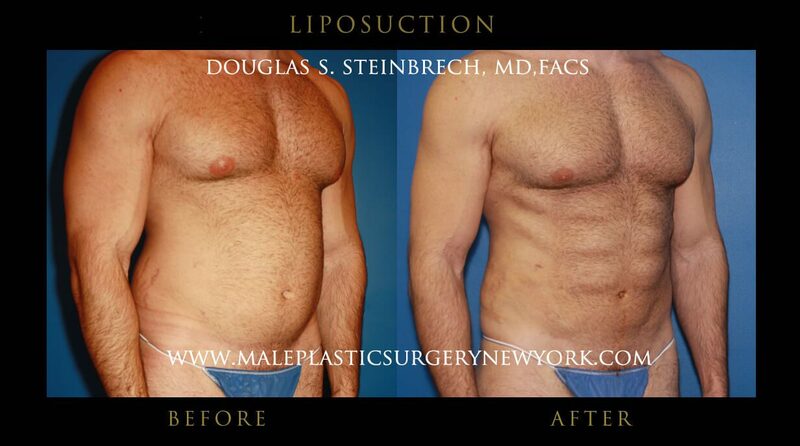 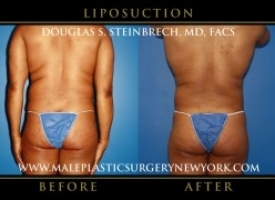 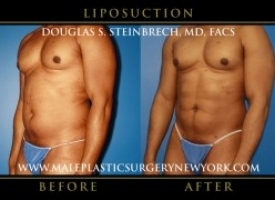 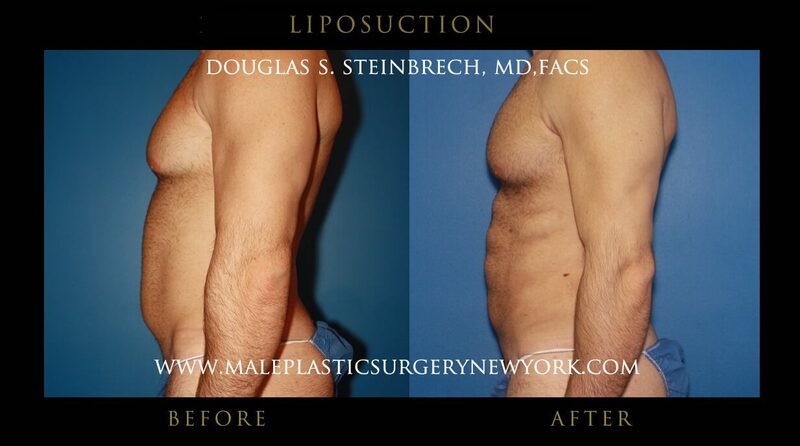 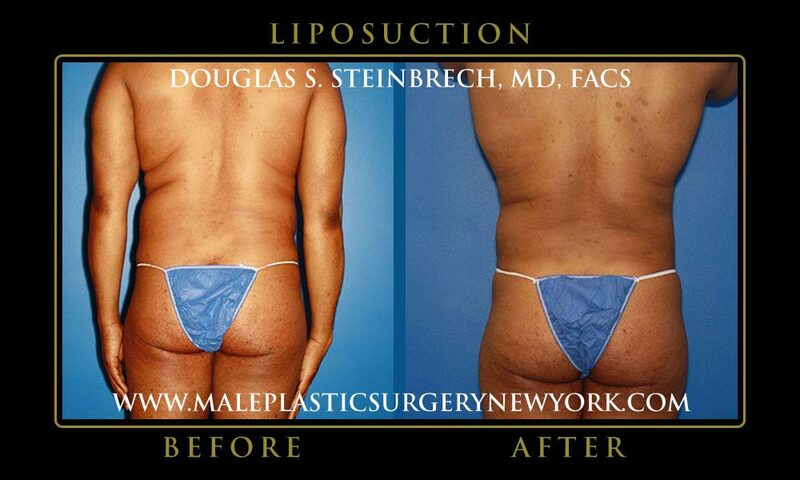 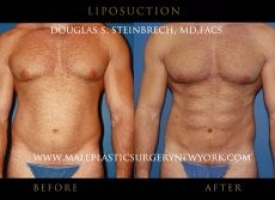 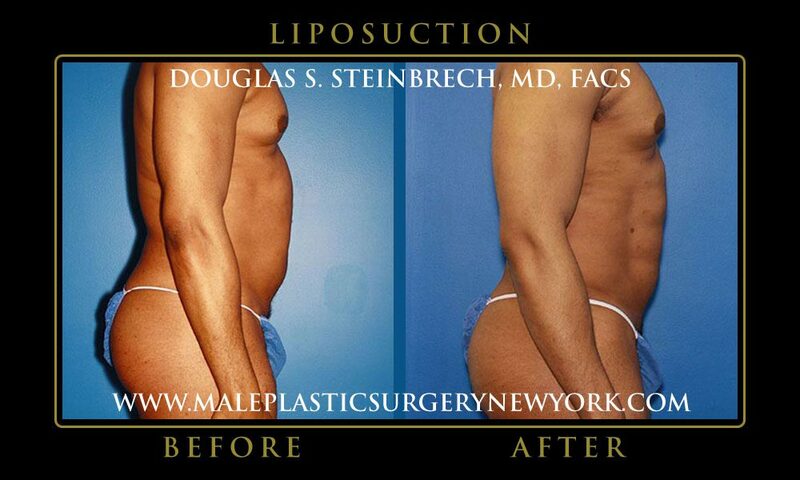 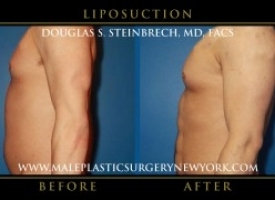 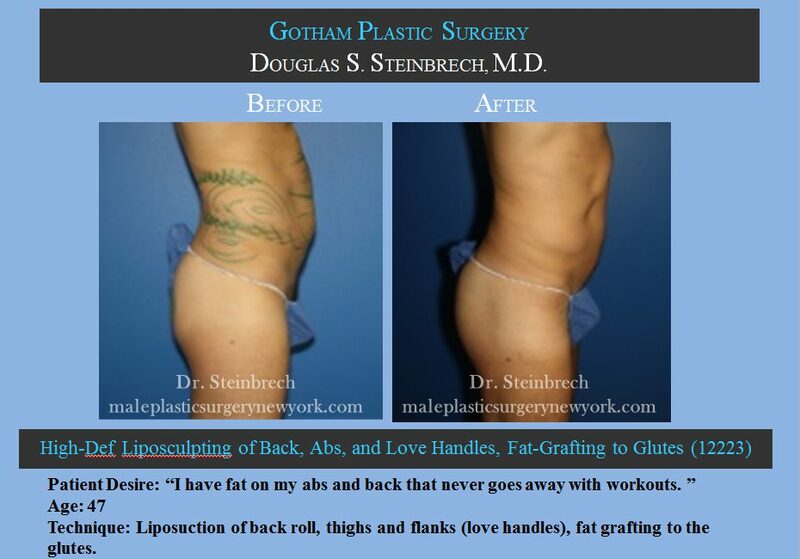 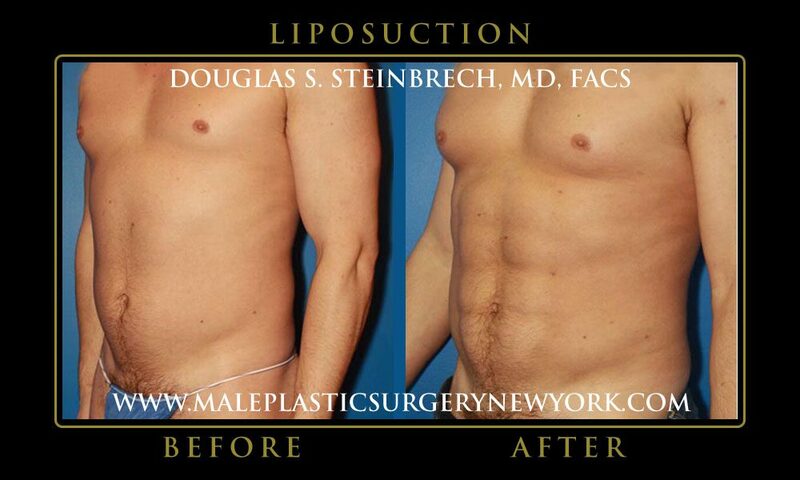 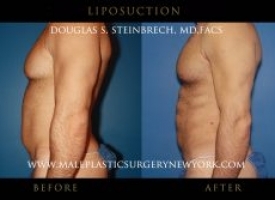 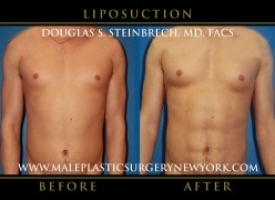 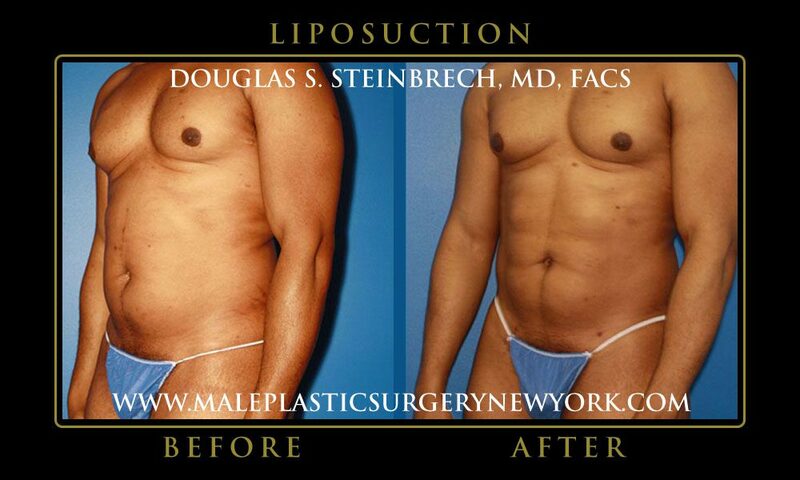 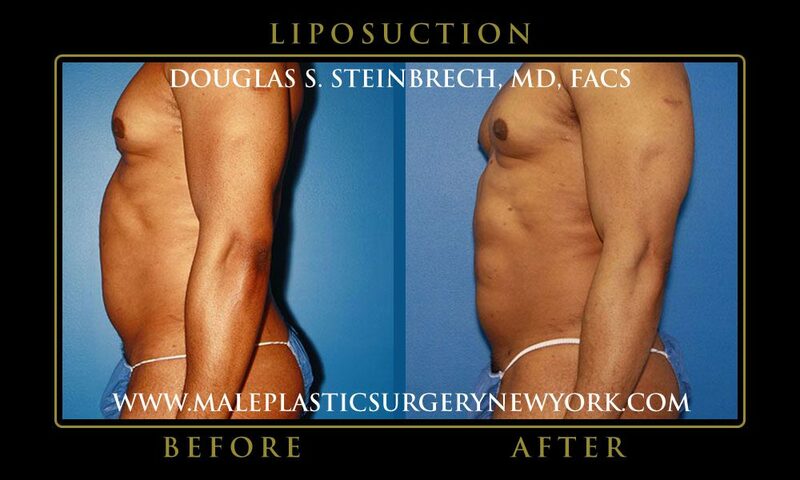 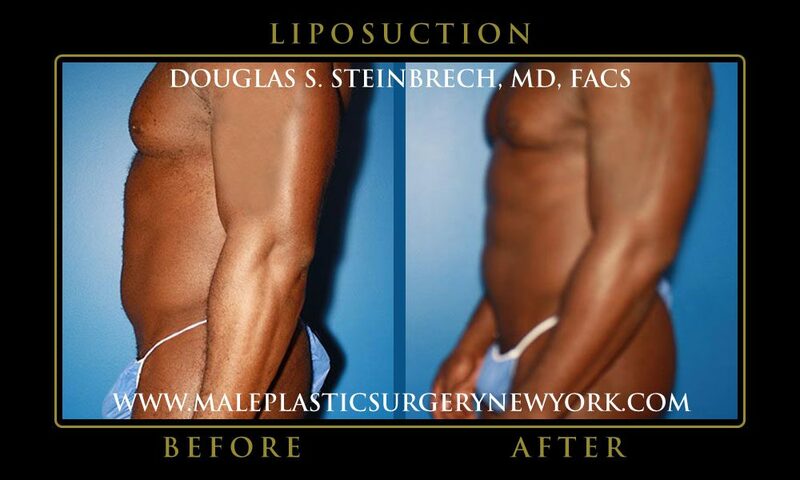 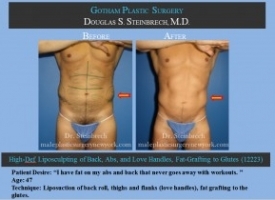 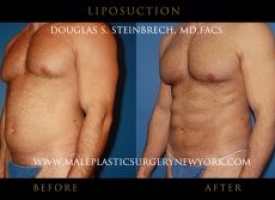 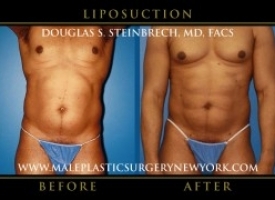 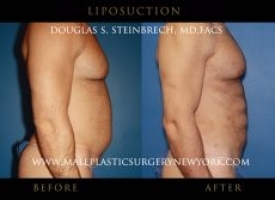 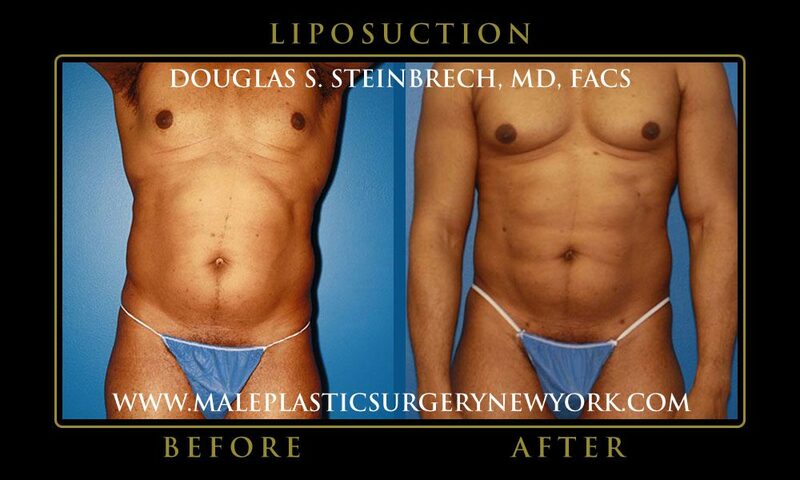 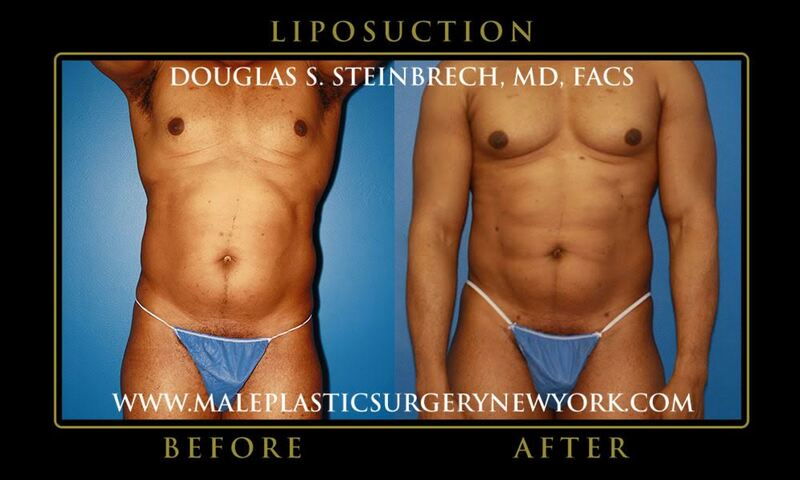 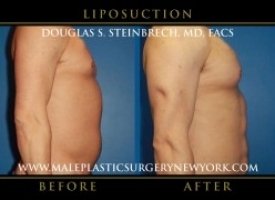 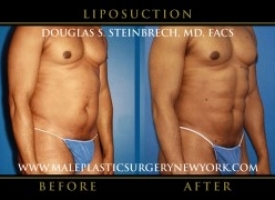 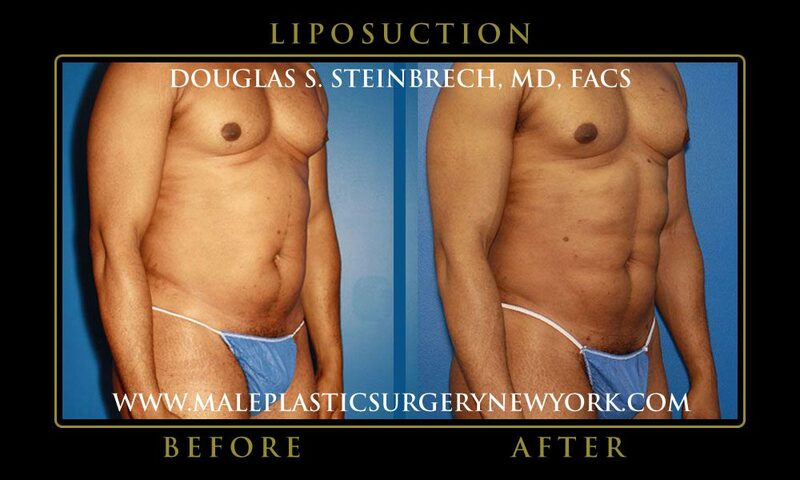 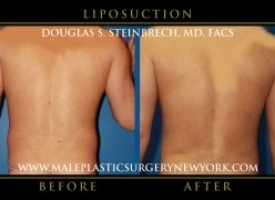 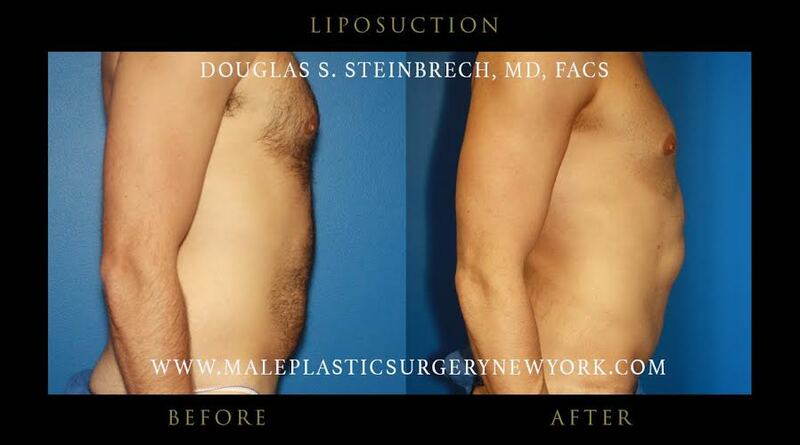 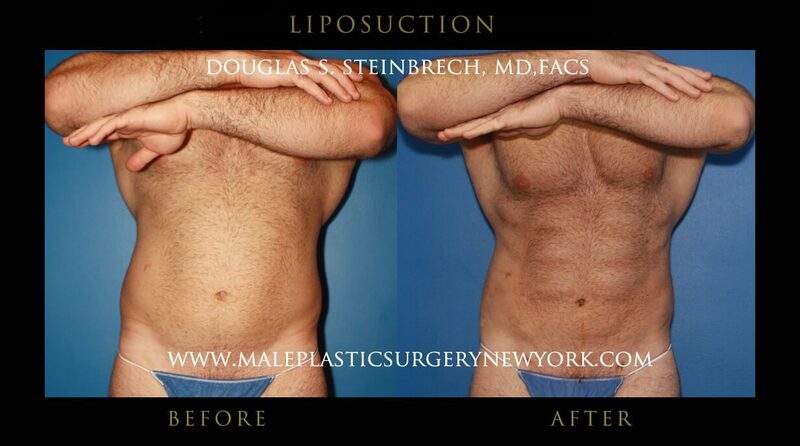 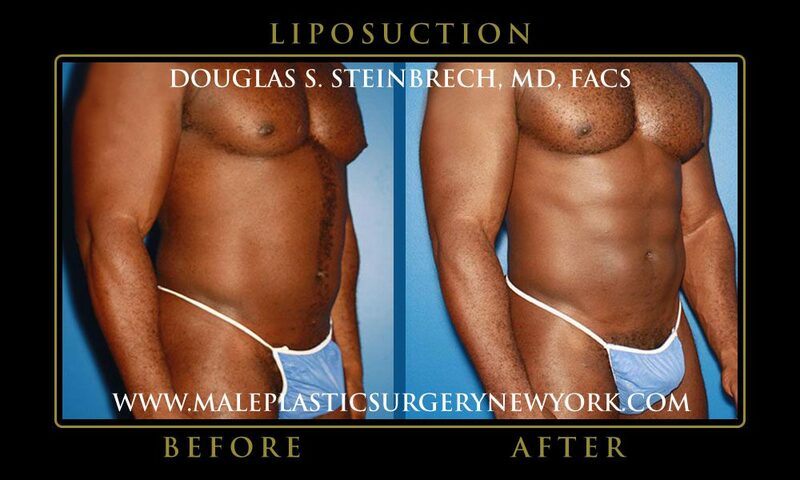 To view some of Dr. Steinbrech’s before and after liposuction photos of his male patients in New York City, please click the images below. 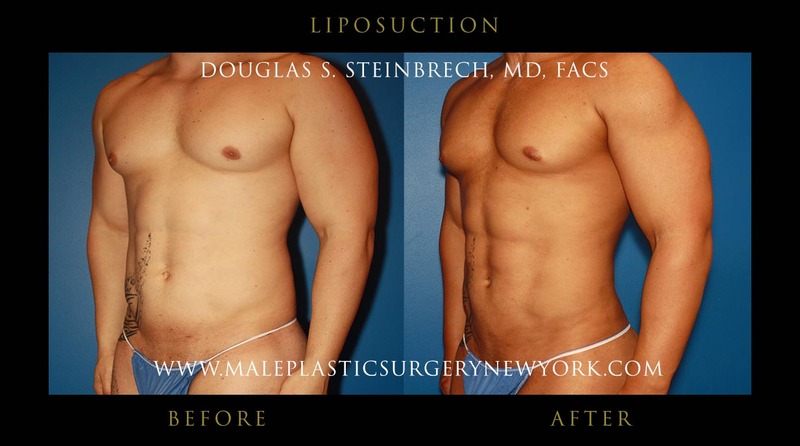 Dr. Steinbrech knows that all male patients are different, both in their body shapes and in what they wish to achieve with liposuction. 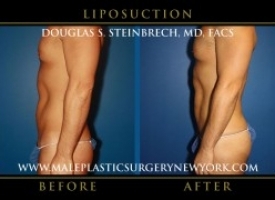 Dr. Steinbrech takes as much time as necessary during every pre-operative consultation to learn what each patient wants liposuction to do for them, and to decide which technique is best. 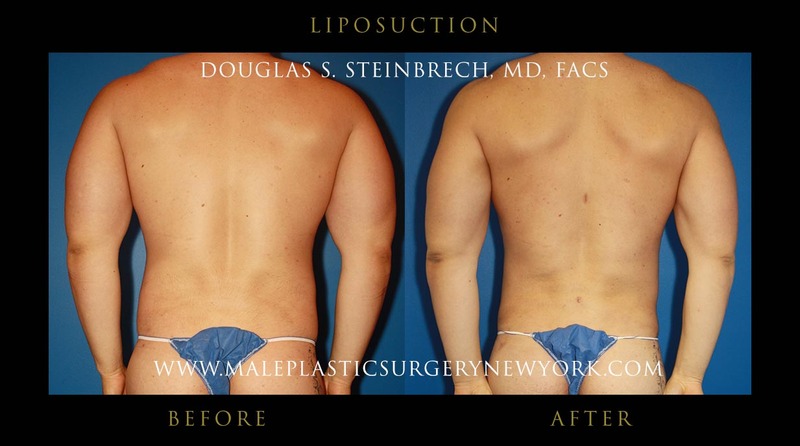 The liposuction procedure for men in New York begins with the injection of a solution composed of saline (salt water), a local anesthetic, and a small amount of adrenaline to decrease bruising and bleeding. 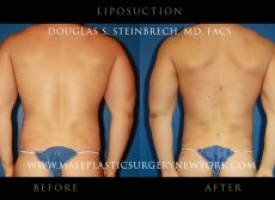 This is known as either the tumescent or super-wet technique, depending on the ratio of the fluid to the fatty tissue being removed. 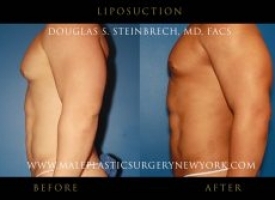 Depending on the amount of fat being removed, the liposuction surgery for men may last from 1-5 hours in Dr. Steinbrech’s New York clinic. 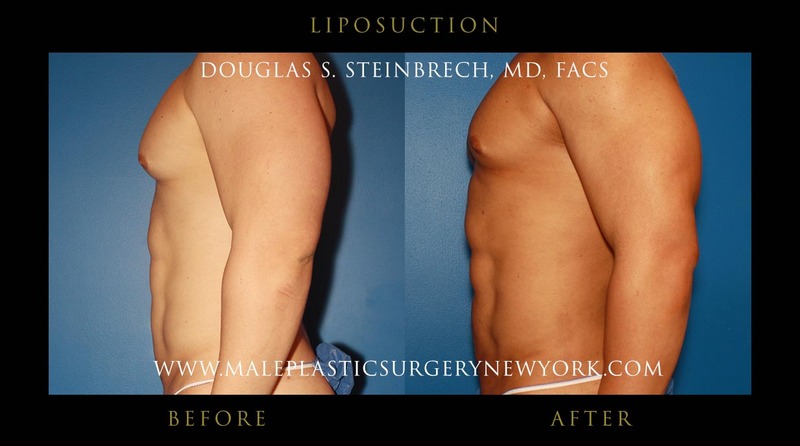 Results of liposuction are visible immediately and improvement often continues as swelling subsides during the first three months for male patients in NYC after their surgery. 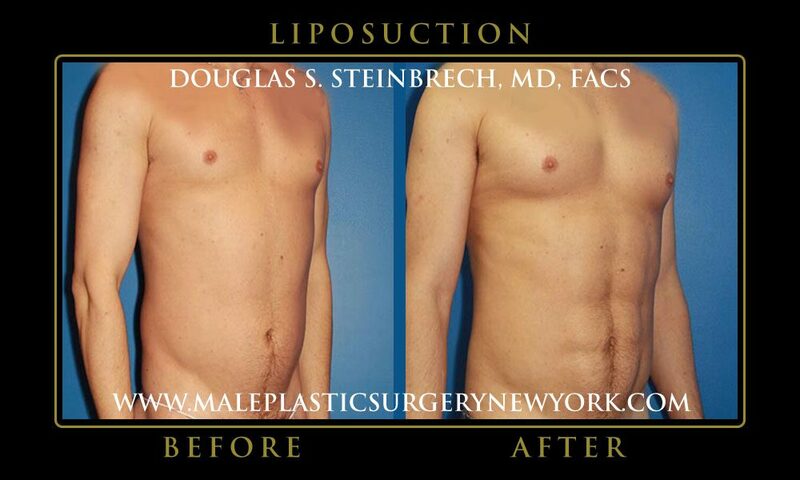 For more information about male liposuction in NYC, please call (646) 480-7750 or fill out the contact form to request additional information. 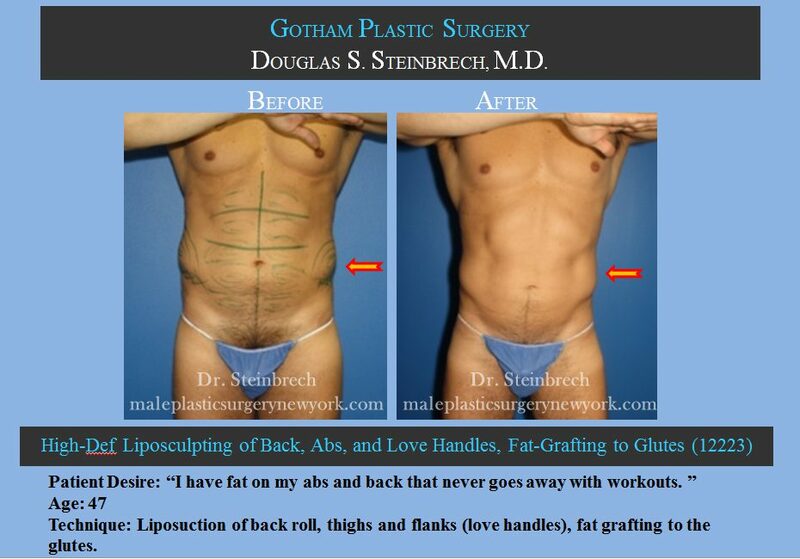 You may also visit Dr. Steinbrech’s New York clinic to set up your no-obligation consultation today.